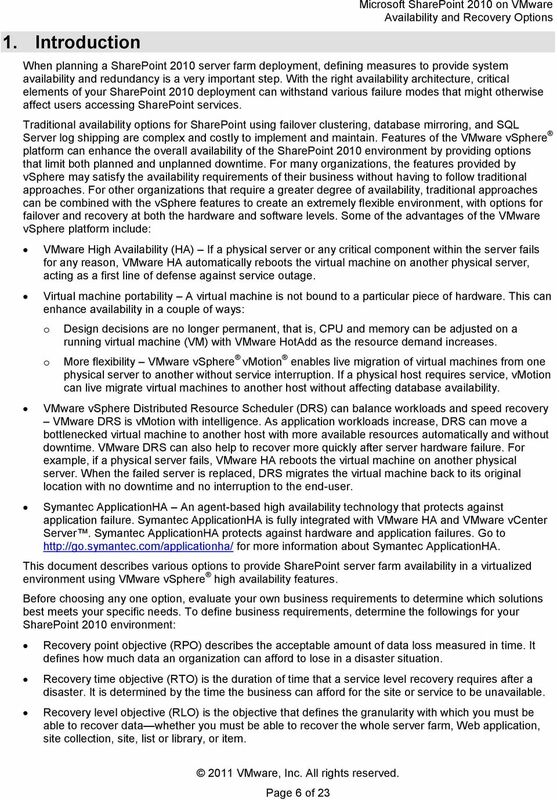 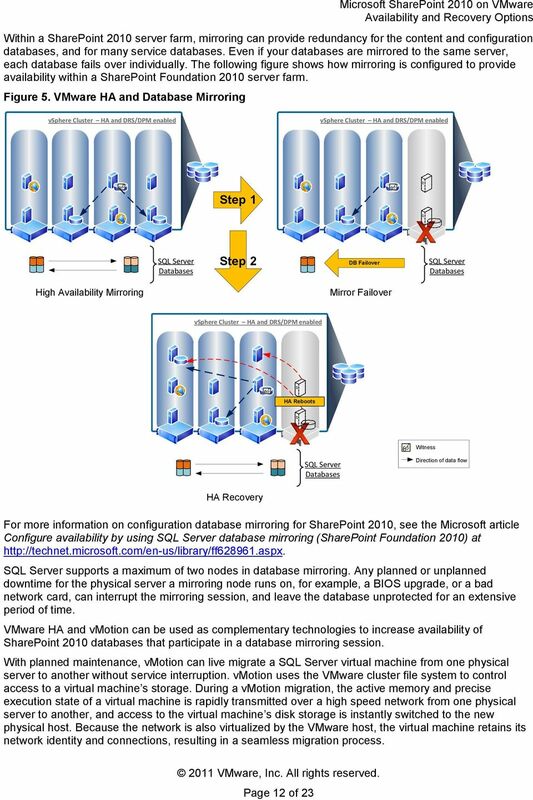 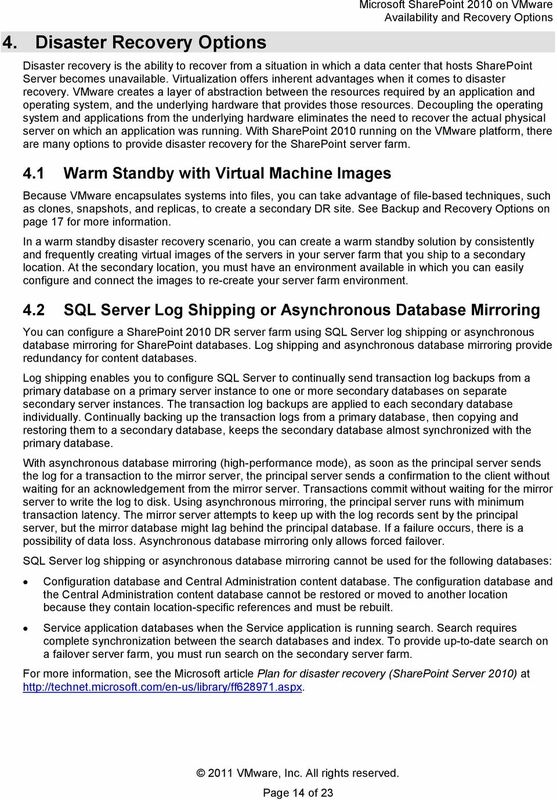 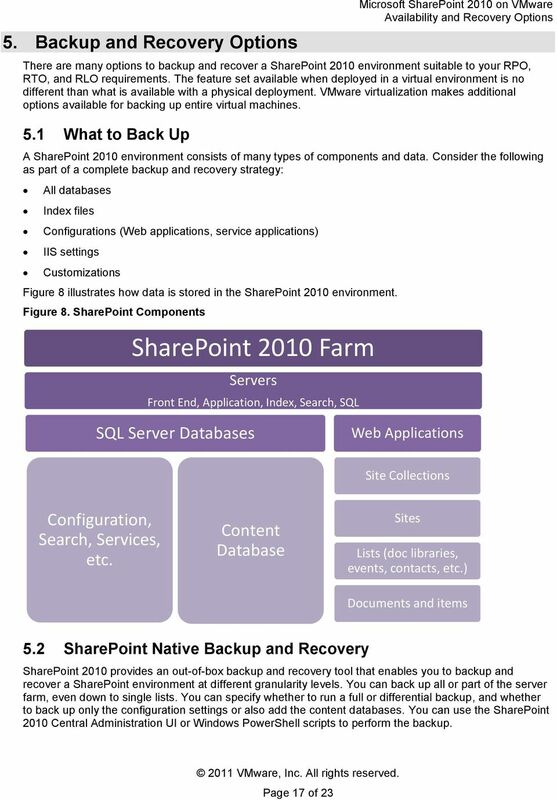 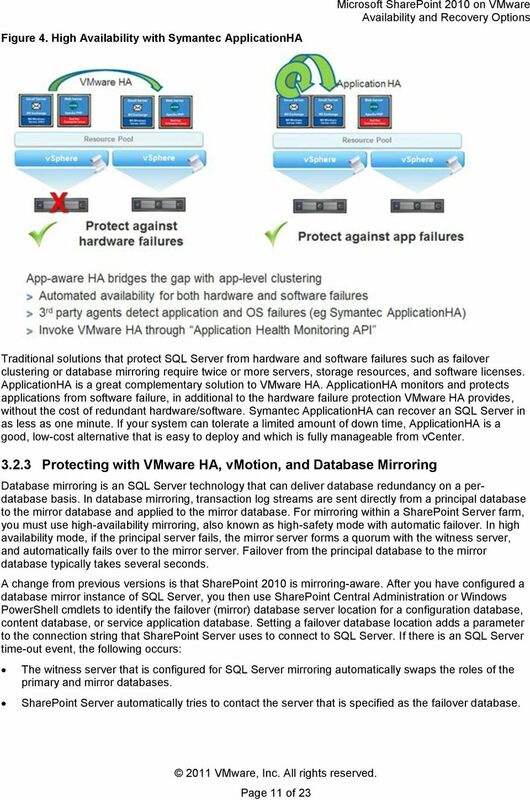 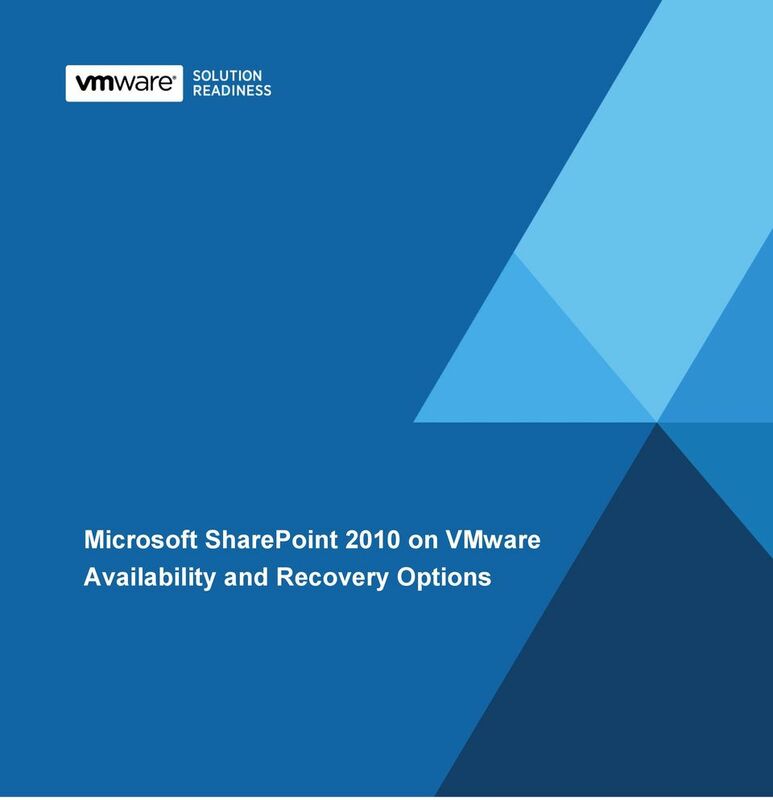 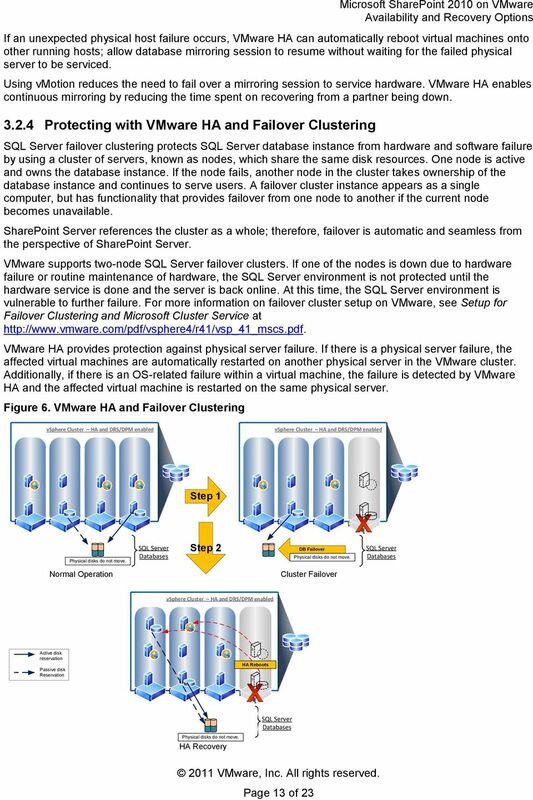 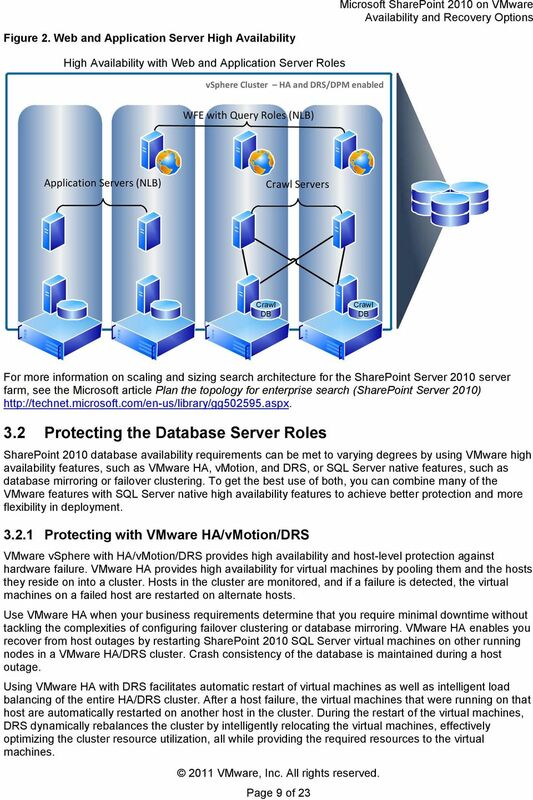 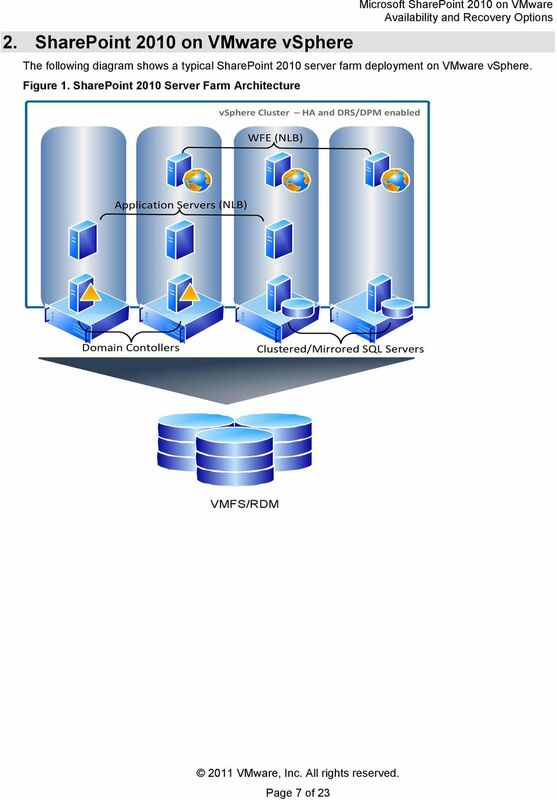 Download "Microsoft SharePoint 2010 on VMware Availability and Recovery Options. 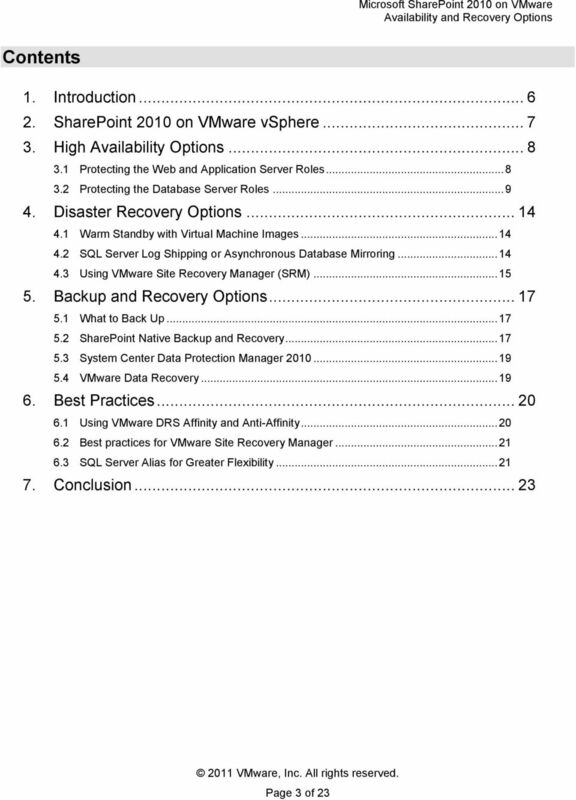 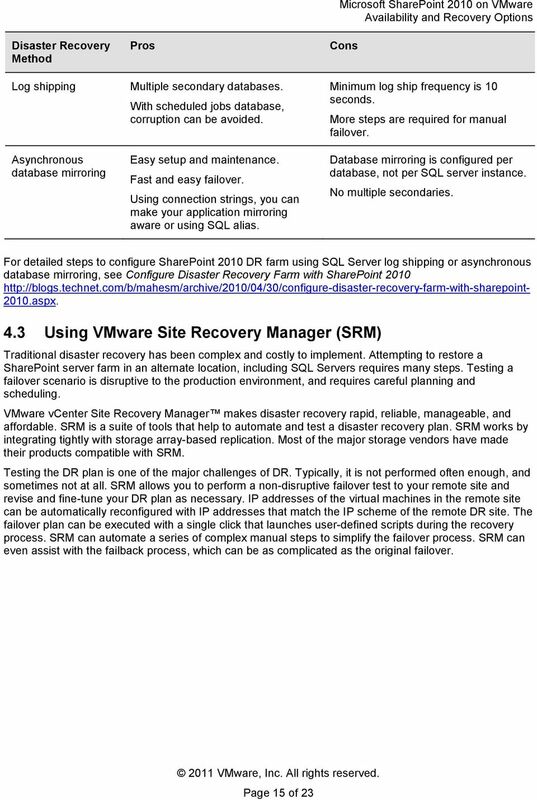 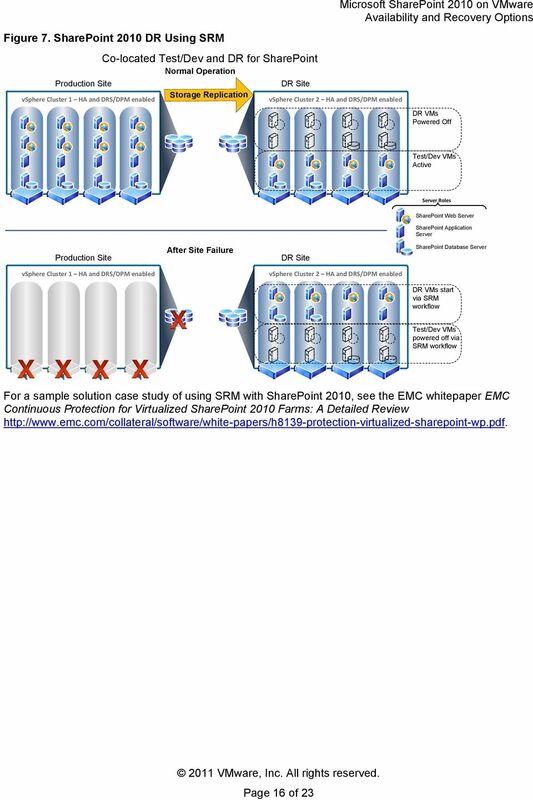 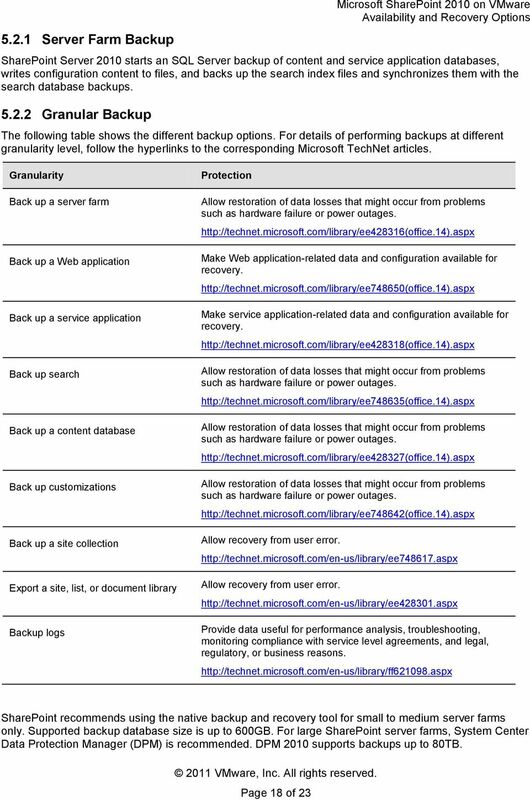 Microsoft SharePoint 2010 on VMware Availability and Recovery Options"
VMware vcloud Air - Disaster Recovery User's Guide vcloud Air This document supports the version of each product listed and supports all subsequent versions until the document is replaced by a new edition. 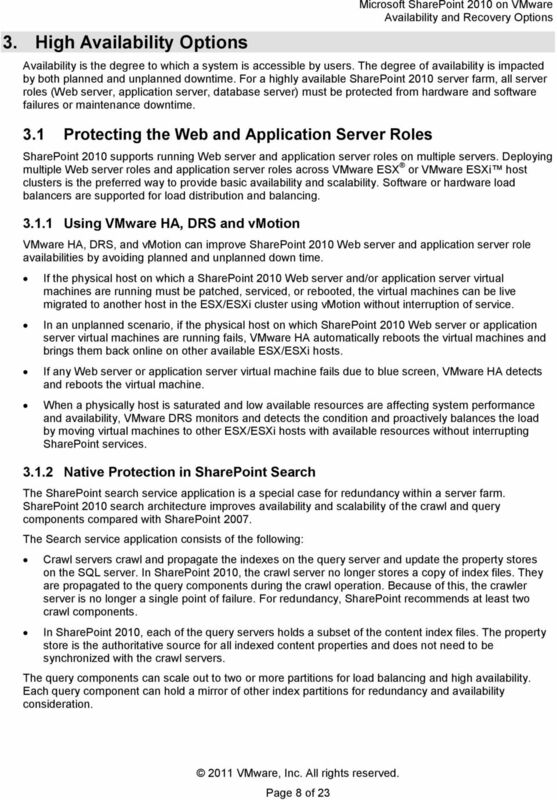 Version 1.0 May 2016 Page 1 of 33 This product is protected by U.S. and international copyright and intellectual property laws. 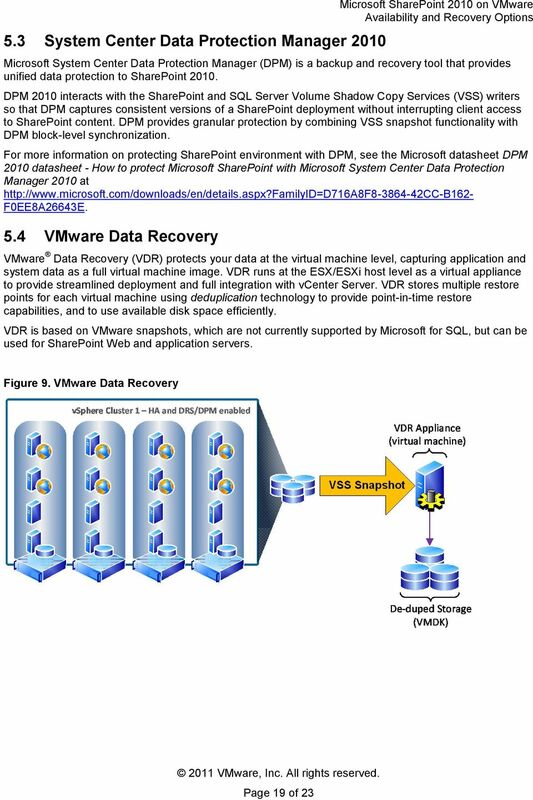 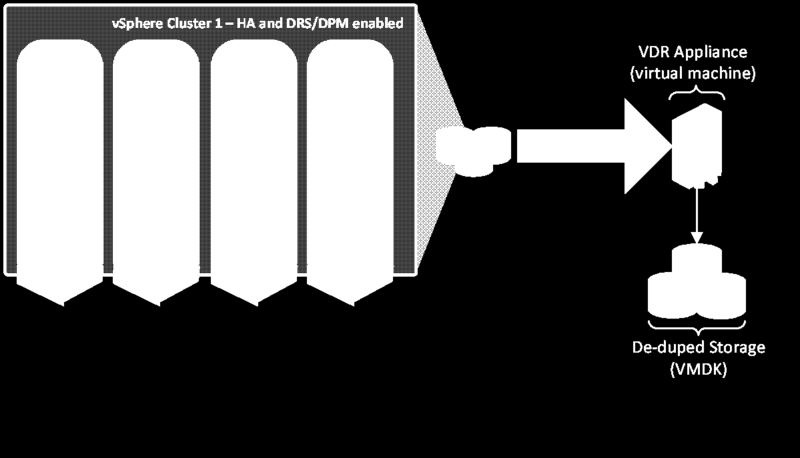 This product is covered by one or more patents listed at http://www.vmware.com/download/patents.html. 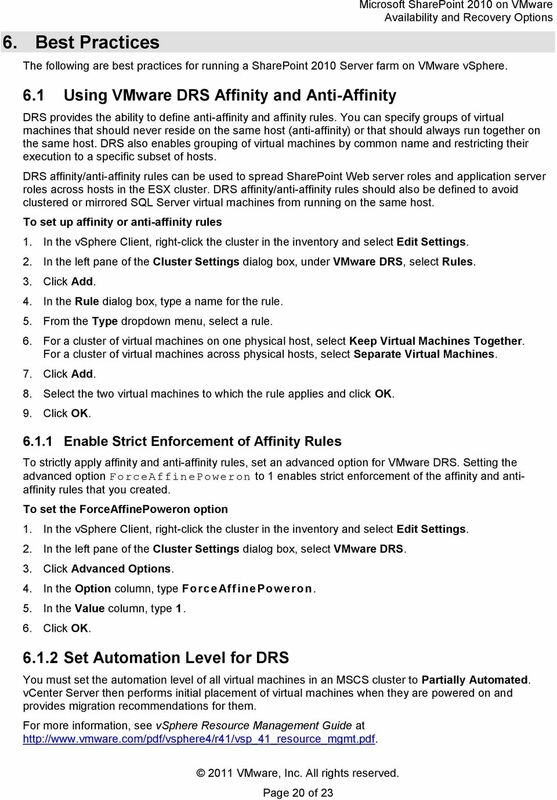 Course ID VMW200 VMware vsphere 5.1 Advanced Administration Course Description This powerful 5-day 10hr/day class is an intensive introduction to VMware vsphere 5.0 including VMware ESX 5.0 and vcenter. 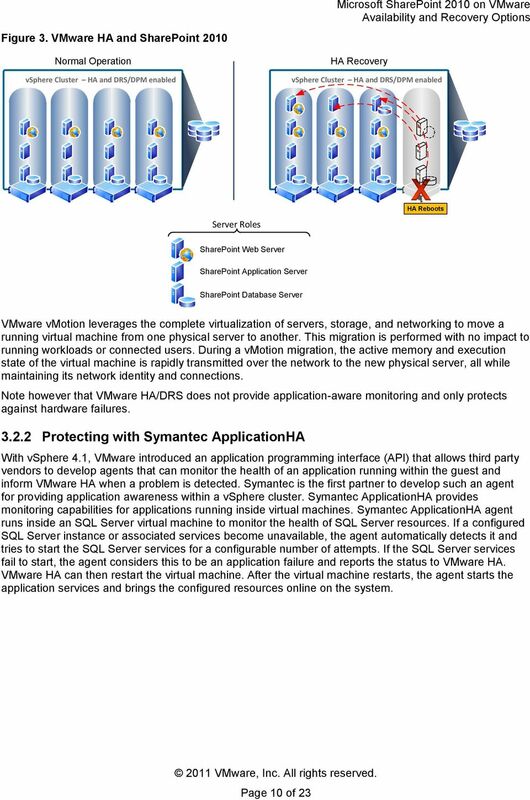 : Microsoft E xchange 2010 on VMware This product is protected by U.S. and international copyright and intellectual property laws. 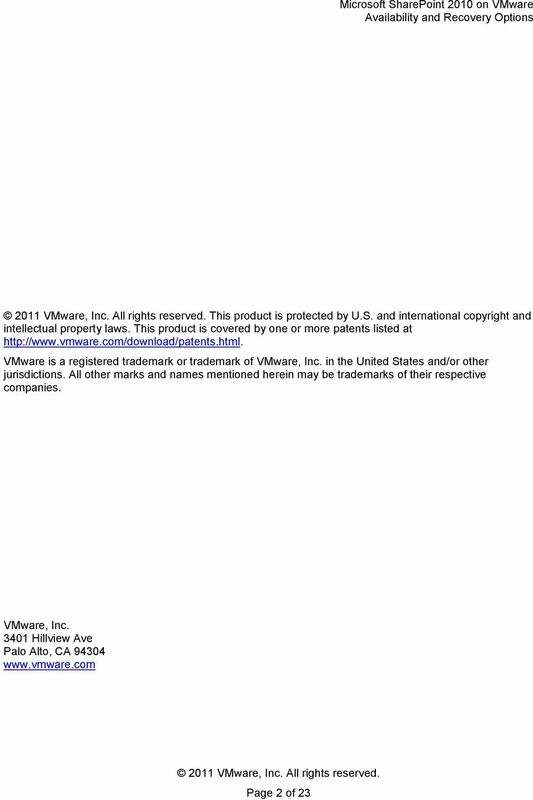 This product is covered by one or more patents listed at http://www.vmware.com/download/patents.html.